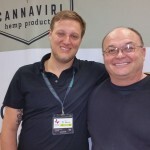 LAUDERDALE, FL; November 22, 2016–The Hawaii State Department of Health has signed a contract with BioTrackTHC™, formally authorizing the company to begin work on the development and deployment of the BioTrackTHC™ integrated tracking and traceability software system for the state’s Medical Marijuana Dispensary Program. Including Puerto Rico Department of Health’s recent announcement of its intent to award a contract to BioTrackTHC™, the company’s total government contract count for cannabis software has reached seven. Earlier this month, BioTrackTHCTM received the 2016 Marijuana Industry Award in the category of Software/Tech Company of the Year. The Marijuana Industry Awards were bestowed in 13 categories by the Academy of Cannabis Science and Industry. BioTrackTHC™ develops and provides effective cutting-edge technology solutions for the emerging medical and adult-use cannabis industry. 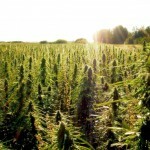 BioTrackTHC™’s seed-to-sale traceability system has been awarded seven government cannabis tracking contracts for cannabis industry oversight and is currently being utilized or in the process of being implemented by the states of Washington, Illinois, New Mexico, New York, Hawaii, Puerto Rico and the City of Arcata, California. Visit www.biotrack.com for more information, email sales@biotrackthc.com or call 1-800-797-4711. The Salar Communications Group blog is here to act as a source of industry information. You will be able to keep up with cannabis news in the categories of Hemp, Medical, Politics and Investment. The areas that our team finds most influential to the industry. This blog also contains the Wire which files past and current press releases for all of our previous and current clients. 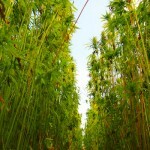 Can hemp save America’s farming economy?